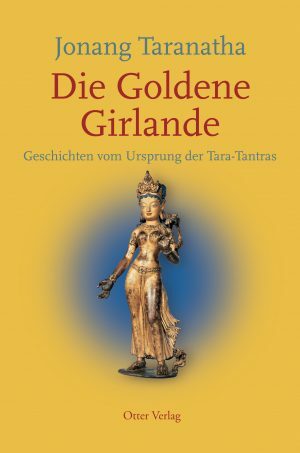 “Mountain Dharma” is a genre of Buddhist texts providing practical instructions for conducting solitary retreat in the mountains or other remote places. 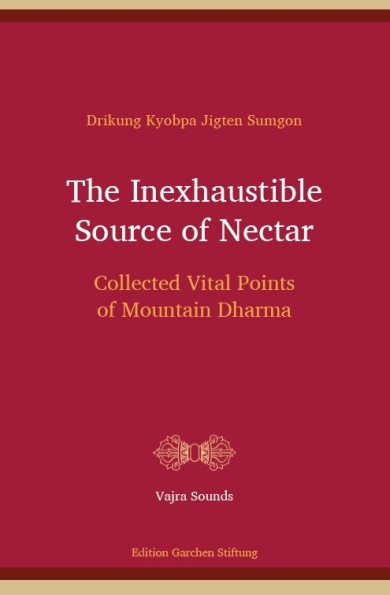 “The Inexhaustible Source of Nectar” collects sections from seven Mountain Dharma teachings given by Drikung Kyobpa Jigten Sumgon, the founder of the Drikung Kagyu lineage, and written down by his student On Sherab Jungne. 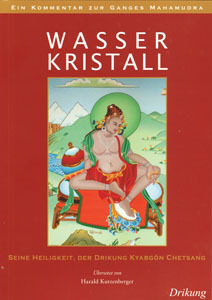 Here Kyobpa Jigten Sumgon shows himself to be a master of dependent origination. He extensively considers activities of body and speech as well as mental attitudes, and he precisely specifies how they affect a retreat positively or negatively.